It's only spring, but those harsh Queensland rays make it feel like the summer heat is already upon us. We all love to stay active outdoors, and we Brisbanites naturally enjoy the sunshine, but may of us need a timely reminder of how to stay safe while doing so. Sun safety is particularly important for the kids; a large percentage of sun damage occurs during childhood, and Australians have some of the highest rates of melanoma in the world. When your kids are out on their Vuly, or you're taking them out for the day, remember our top 5 tips to keep them and the whole family out of harm’s way during these particularly sunny months. 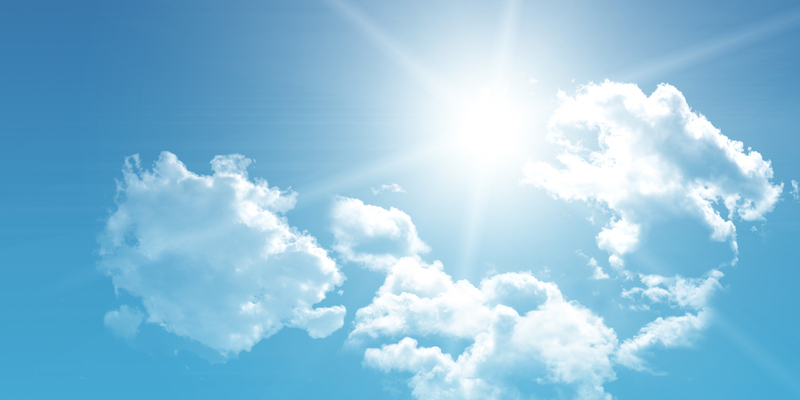 The sun is at its highest, and most damaging to your skin, between 10 am and 2 pm. However, here in Queensland, sun safety is a necessity even outside this window! Trying to avoid this time can be a little tricky when planning outdoor activities, especially when lunch-time is usually the nicest and most convenient part of the day. Ensure that you follow the classic Australian ‘Slip, Slop, Slap’ rules, and stay in shade as much as possible. 2. 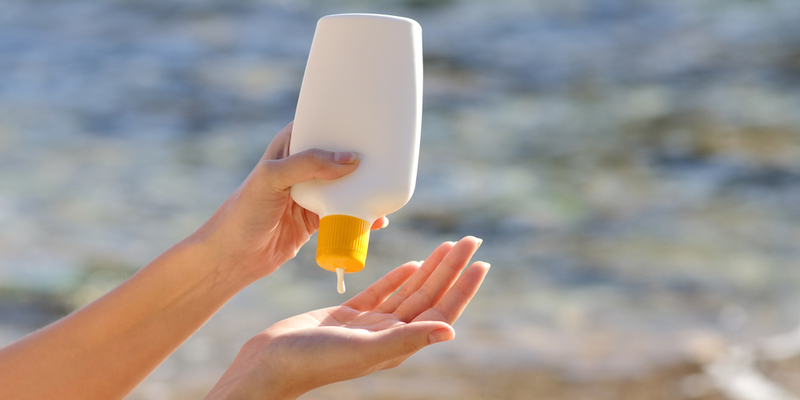 Summer sun safety – "Slip, slop, slap"
In no way is this mantra any less relevant today than it has ever been! The Cancer Council’s SunSmart Campaign has been in the minds of Queenslanders for generations, and for good reason. These three basic rules are the best way to avoid a nasty sunburn. Remember the tune: "slip on a shirt, slop on sunscreen and slap on a hat". Keep in mind that rash shirts are specially designed to withstand harsh rays, so are the best option for backyard fun. This is especially true if you're taking a dip in the pool; water refraction can intensify your UV exposure. Eye health is often overlooked in our ideas of sun safety, but it's equally as important as protecting your skin from UV light. Your eyes are also susceptible to cancers and other glare-related complications, particularly if they’re lighter in colour and if you have fair skin. Remember: children’s eyes are far more sensitive to the sun than those of adults. 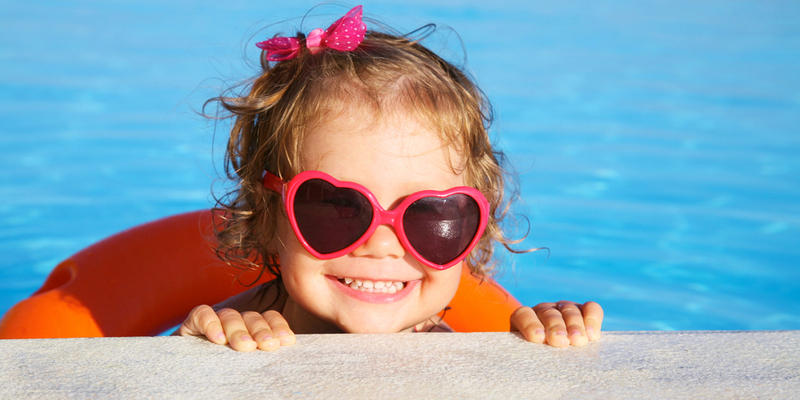 Buy your child a pair of cool sunglasses with strong UV protection—they're are a must at every age. Hot weather can affect our insides as much as our outsides, and when we're having fun, we often forget to stop and have a drink. It’s important to drink extra fluids during the sunny season as outdoor activities can leave us drained and dehydrated. Always have a bottle of water on hand, sip herbal teas instead of black tea or coffee and eat plenty of healthy whole foods; these are also loaded with water-absorbing nutrients. One of the easiest ways to remain cool, and to protect your skin from harsh rays on cloudless days, is to remain as much as possible in a shady spot. It’s seems pretty simple, but we often seek out the non-shady spots when we pack up the family and head to the beach, park or sporting field. If there are no thick trees near where you're spending the afternoon, bring wide umbrellas, open air tents and tarps crafted from UV-reflecting fabrics. What are the sun safety techniques that you and your family will be using during these sunny months? Every parent has their own little secrets!